The Black Panther star told people their votes can elect officials who make can impact "police brutality, criminal justice reform and racial justice." 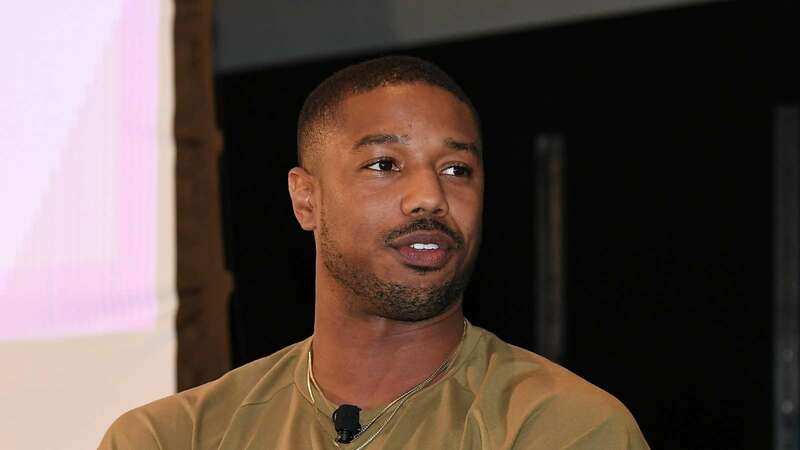 Michael B. Jordan is using his fame to urge black people to vote in the upcoming US midterm elections on November 6. The "Black Panther" star was filmed knocking on doors in Atlanta, Georgia on October 20, in partnership with rights group Color of Change. Jordan says: "I know some of you think that your vote doesn&apos;t matter, but you&apos;re actually some of the most important voters in the country." When one woman answered the door to him she said: "Oh my God, Wakanda forever!" "Black Panther" star Michael B. Jordan has been door-knocking in Atlanta, Georgia, urging black people to vote for officials who make a difference on "police brutality, criminal justice reform, and racial justice." On October 20, Jordan was filmed turning up on people&apos;s porches and knocking on doors ahead of the US midterm elections on November 6. In the video, the "Creed" actor says: "We&apos;re gonna go surprise some people real quick — knock on some doors — it&apos;s crunch time everybody let&apos;s vote." "This midterm election, exercising your right to vote is more important than ever." The group is using the hashtag #VotingWhileBlack to track the movement. Read more: The evolution of American voting rights in 242 years shows how far we&apos;ve come — and how far we still have to go. Jordan says in the voiceover: "I know some of you think that your vote doesn&apos;t matter but you&apos;re actually some of the most important voters in the country." "Your vote will help elect officials who can make a difference on issues like police brutality, criminal justice reform and racial justice." Atlanta residents were shocked by the actor turning up on their porches, one woman says: "Oh my God, Wakanda forever!" She was quoting Jordan&apos;s blockbuster hit, Marvel&apos;s "Black Panther" which came out in February 2018, and made $1.34 billion at the box office. Jordan also tweeted the video. The caption said: "Text VOTE to 225568 and I’ll hit you up with a message to tell you more about how you can join me." A Jordan fan and potential voter posted a video of the star arriving at a house on social media, Jordan is heard saying: "Tell your friends, tell everyone you know, it&apos;s really important get out and vote." Color of Change PAC said: "Michael is really smart, a lot of celebrities engage in a lot of different ways and what we found really exciting is that Michael wanted to talk to the people and be with the people," The Hill reported. The rights group is also buying advertising space in places such as Florida, Georgia, Michigan, and Nevada, The Hill said.